What Best Defines An Eyebrow Transplant? An eyebrow transplant is basically taken to be a cosmetic procedure aimed at altering the overall appearance of one’s eyebrows. The procedure is commonly sought by women, although it also works for males. 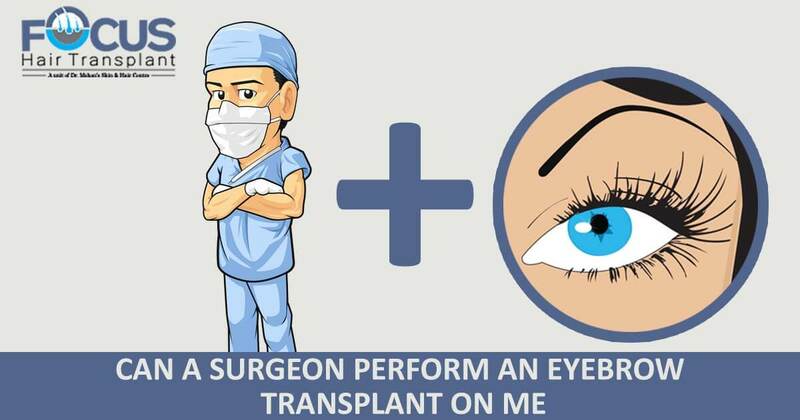 An eyebrow transplant is an individualized surgery and will require a patient to primarily consult a surgeon. During the consultation, the surgeon will evaluate the eyebrows and determine the extent of damage or the level of correction required. The surgery largely revolves around artistry and aesthetic skills for a patient to obtain natural results. It is generally an outpatient procedure and can last for about 4 hours. It is performed under anesthesia and certainly, you won’t feel pain. Just like any facial hair transplant, an eyebrow transplant is an intricate surgery and obviously requires an experienced surgeon. During the surgery, individual hair follicles are harvested from the sides of the scalp. This is behind the ears or at the back where your hair begins from. This is generally because these hair follicles are soft and resistant to DHT. Having obtained the individual follicles from the scalp, they are trimmed into fine hairs to match the eyebrow hairs. The incisions are then made in the eyebrow region to introduce the follicles. The individual follicles are then introduced following a specific direction and depth. Artistry is essential during this step to come up with an ideal shape, thickness, and appearance. You will have to stay at the hair transplant centre for some time after which you are discharged. A care kit alongside essential instructions are provided to guide you as you look after the grafts. You are prohibited from washing the eyebrows for some days to prevent them from falling out right after the surgery. Like any form of hair transplant, the implanted grafts will fall out after a few weeks. The intended grafts will grow over the course of 7 to 11 months. Why Many Turn To Eyebrow Transplants! The facial appearance of an individual plays a big role in his or her identity and self-appreciation. With that, many women opt for the surgery to increase their eyebrow thickness, alter its shape or meet certain demands. Many factors play a part in altering one’s eyebrows and these can be trauma, alopecia, genetics, and injuries that erode the follicles and leave patches. An experienced surgeon can perfectly restore your eyebrows to a modern standard and help you regain self-confidence.